Calling all 9th, 10th, and 11th Grade Students! AHEC Program has received funding from the Daniels Fund to enhance the successful Summer Health Careers Camp. Beginning in September 2017, all six regional AHECs began a new initiative to enhance and build upon the current camp program, with the goal of engaging high school students to consider a career in the healthcare industry. This FREE program is a great opportunity for students and their parents during the 2018/2019 school year, which will include 8 2-HR workshops from January to April to learn about different career opportunities in the healthcare industry. 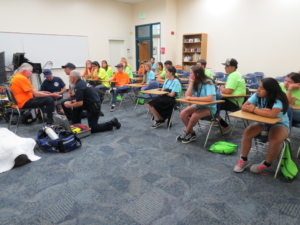 After completing at least 7 of 8 workshops, the student will be eligible to attend the 2019 SWCAHEC Summer Health Careers Camp for FREE for hands-on experiences in healthcare careers! All workshops are from 5:30-7:30 p.m.